Obituary for Amelia A. 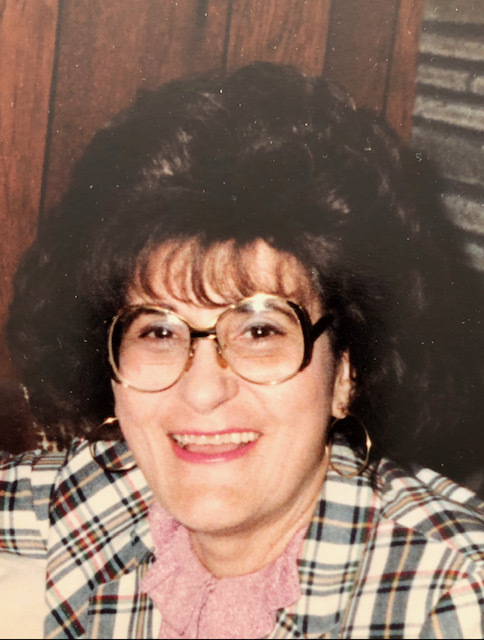 (Raffele Capasso) Dufel | DeMarco-Stone Funeral Home Inc.
Amelia Dufel, 89, passed away peacefully at home with her loving family, after a short illness on January 13, 2019. She was born on January 29, 1929, and was the last surviving child of the late Rose (Albanese) and Steve Raffele. She grew up in Mont Pleasant, and was the only one of three children to finish high school. Amelia graduated with honors from Mont Pleasant High in 1947. After graduating, she worked briefly at the Wallace Company, then later in the accounting office of the Welfare Department on Nott St.
Amelia’s first marriage to the late Anthony Capasso ended in divorce shortly after their son Richard was born in 1959. It was through a good friend that she met and later married Floyd Dufel, owner of Floyd’s Floor Covering in 1968. They were very happily married until Floyd’s death in 2015. A classic “eye-talian”, and true to her heritage, Amelia was fun loving and people oriented, and fiercely loyal to her kin. After moving with Richard and Floyd to a beautiful new home in Colonial Manor the year the Dufel’s married, Amelia also began her lifelong obsession with food. She was a wonderful cook, and it was at 28 Continental Rd. that Amelia’s true calling as an exceptional hostess began. She loved nothing more than entertaining (feeding) family and friends on holidays, special occasions and countless casual get togethers by the pool. Amelia’s other obsession was movies. A movie buff since childhood, she knew every A or B movie ever made during the Golden Age of Hollywood. Musicals, westerns, war epics, science fiction, tear jerkers, horror, screwball comedies-Amelia loved them all and was a fount of information. After suffering the devastating loss of her son in a car accident when he was 18, Amelia’s very close relationship with her nieces and nephews grew even stronger. Her kids, as she called them, all loved their aunt dearly and considered her their second mother throughout the rest of her life. Tall and stylish, Amelia dressed impeccably-always wearing her famous fuchsia lip color, dark hair and signature jewelry. She was naturally very friendly and welcoming. Open minded and with a wonderful sense of humor, she gave compliments freely and often. And loved to boast about her family. She was extremely generous and had a very positive personality. Amelia left a lasting impression with everyone she encountered. She was a memorable character and truly one of a kind. Amelia is survived by her nieces Katherine Raffele, Stephanie Raffele, Roseanne DeLoreto, Teresa D’Ambrosio Shadick, Martha D’Ambrosio Leonard, Palma (Joe) Sciarrino, her nephews Steven John Raffele III, Vinny (Janice) Capasso, her grandniece Jennifer (Gabe) Rounds and her two children Kinley and Mason, grandnephews Stephen John Raffele IV, and Steven Shadick, and sister in law Ramona Capasso. She was very close to her surviving cousins June Casapullo, Benita and Sonny Zullo, Lorry Atchinson and Dan and Lois Albanese and their families. Michael (Gail) Golden and Carol (Jerry) Adkins and their families were always in Amelia’s thoughts and prayers, together with many more cousins, nieces and nephews. The family would like to give special thanks to Amelia’s caregivers: Cheryl Martiniano, Shannie Surujpaul, Rev. Pauline Glenn and Debbie Tomasek, as well as the Community Hospice of Albany. In lieu of flowers, memorial donations may be made in Amelia’s name to her favorite charity, St. Jude at www.stjude.org. Happy Birthday Aunt Amelia, we all love and miss you very much.